This research looks at the effect of hydration and drinking water on cognition. I am interested in the positive effects of water consumption on cognitive performance, both in children and in adults. Recent work in adults includes measuring hydration using bioelectrical impedance and relating this to cognitive performance measured using CANTAB. Recent work in children includes papers on the positive effects of water consumption on cognition. I am also interested in the effect of nutrition on cognition, the brain and mood, in collaboration with colleagues from the MRC Childhood Nutrition Research Centre at the Institute of Child Health, UCL. Under the direction of the centre director, Professor Alan Lucas, deputy director, Professor Atul Singhal and Senior Research Fellow, Dr Elizabeth Isaacs, this research examines the effect of early nutrition on long term cognitive outcome and brain structure. We have studied a number of different cohorts, examining, for example, the long term effects of early diet in children born preterm and the effects of intrauterine growth restriction in a twin cohort. The data have also been used to answer more general questions about cognitive development and the relationship between cognitive function and brain structure. For example, in our preterm cohorts, the structural localisation of mathematical function has been investigated, and in our twin study age related changes in inspection time have been examined. Please note that I am not able to offer personal advice about drinking water or nutrition through this website, or by email. 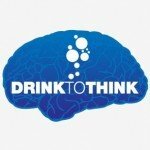 The Drink to Think and Nutrition & Cognition logos are protected by copyright. Copyright © 2011-2021 Dr Caroline Edmonds. All rights reserved.